Ian Chisholm has a policy which says (to me only, I'm afraid), "Buy two, get one free." 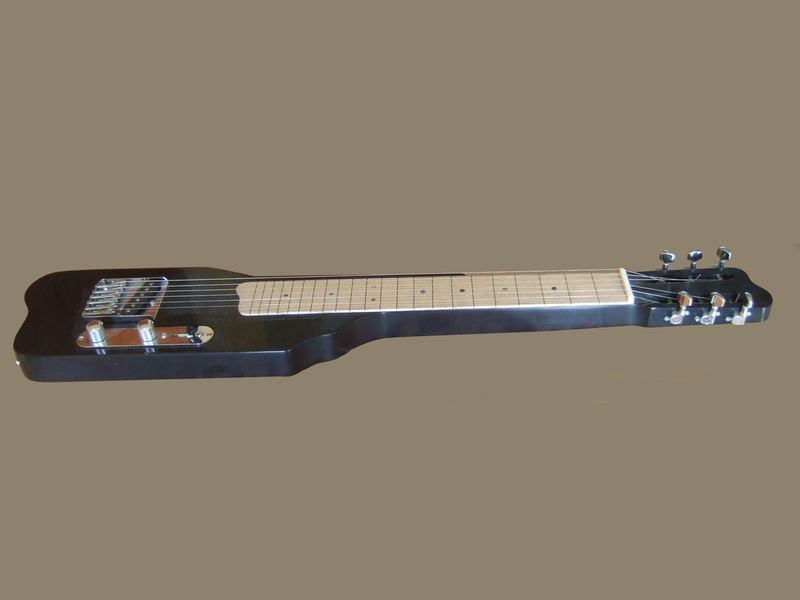 So, I paid for the materials and he built me this Gretsch-style lap steel. It's tuned in C6 tuning - CEGACE - which gives a nice minor chord on the top three strings. It's fitted with a Tele pickup and hardware. Sounds great!